A MAN WHO was sleeping rough in the Ranelagh area of south Dublin has died, after earlier being found unresponsive and brought to hospital. The man, aged in his late 50s, died in St Vincent’s Hospital, a Garda spokesperson confirmed. The spokesperson confirmed the force was investigating the man’s death. 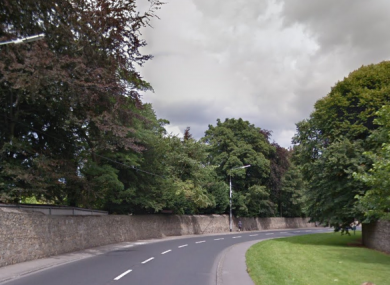 The man, who was known to homeless services, is believed to have been sleeping in a tent near Gonzaga College secondary school in the south Dublin suburb. A spokesperson for the Peter McVerry Trust said the charity had received a report about the death and that it was understood the man had been staying in the area for some time. An outreach team from a different charity are believed to have given the man a sleeping bag last night. Groups of rough sleepers have camped out in tents at a number of locations across Ranelagh and Milltown in recent years – particularly along the green areas along the banks of the Dodder river. The latest audit of rough sleepers in the Dublin region – carried out on 7 November – found there were 184 people bedding down in streets, doorways and green areas. Email “Man who was sleeping rough in Ranelagh dies after being found unresponsive”. Feedback on “Man who was sleeping rough in Ranelagh dies after being found unresponsive”.